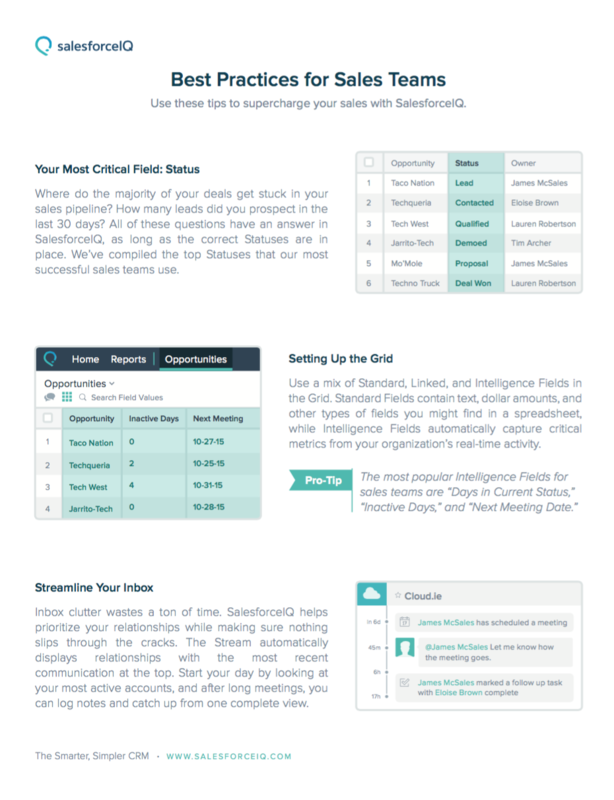 From new customers to power users, our recorded webinars help you get the most out of SalesforceIQ CRM! 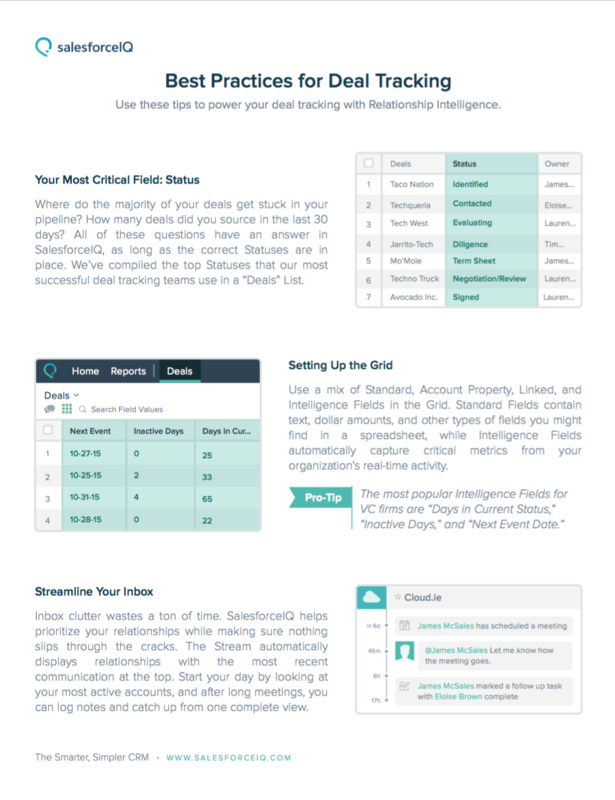 Check out the SalesforceIQ Quick Tips and On Demand videos page for more information. Watch the following videos to learn about the powerful features available in SalesforceIQ CRM!